Every good marketing plan clearly outlines objectives so your team can look back on the year and say, “We got where we wanted to go.” After all, no one starts a race without knowing where the finish line is. Most importantly, those objectives have to be measurable so you have concrete proof about what was a success. But if you’re waiting until the end of the year to track your progress, you’re likely missing important insights that can inform and optimize how you execute the rest of your plan. 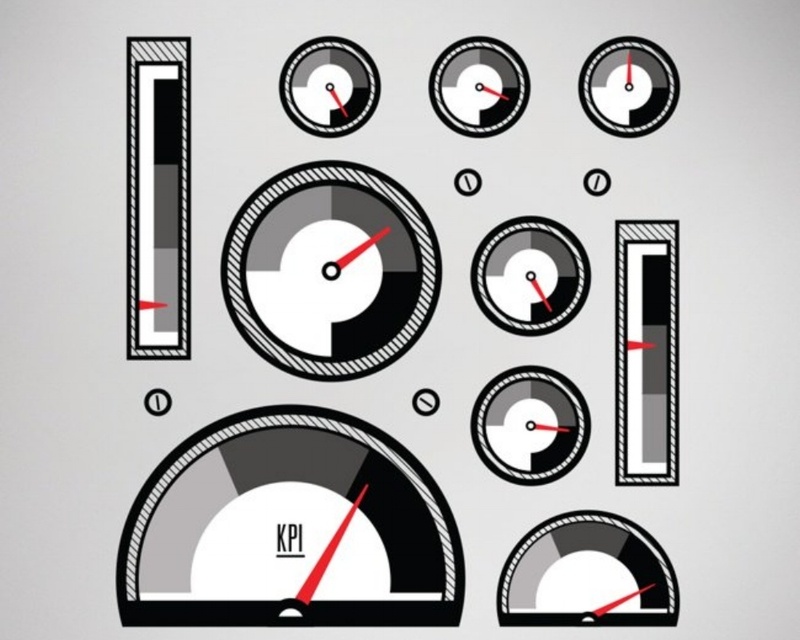 Key performance indicators (KPIs) are like mile markers – specific signs that you are moving in the right direction. Things like website traffic, social media engagement, incoming call volume, etc. are metrics you want to keep an eye on because they influence your ultimate success. Tracking KPIs can help you identify seasonal trends, most effective media combinations and customer responses to individual tactics, such as direct mail. When you see peaks in KPIs, you can shift around dollars or timing to do more of what’s working. Alternately, if you’ve tried a tactic numerous times under the same circumstances and still aren’t seeing the traction you want, maybe it’s time to cut that from the plan. KPIs are important, but let’s be clear, they are not your goal. Your goal is what matters to your business. Are you growing program enrollment? Are you seeing an increase in sales? Are you saving energy? Lowering smoking rates? Making more loans? When you track key performance indicators and have a detailed plan with specific tactics, it seems logical to assign a value to each channel to determine your ROI. For example, I’m spending $20,000 per year on paid search, and it tracked 50 new leads through online inquiry forms, so each paid search lead cost me $400. You could monitor spending and outcomes for almost any marketing tactic in this way, and it wouldn’t be wasted effort. But it also wouldn’t be the full picture. Most consumers do not see a message one time, in one place and immediately take action. People need to see messages reinforced in multiple channels to not only recall your brand but also remember your core message. This is why integrated marketing plans are often more effective; the various tactics work together to ultimately spark a desired activity. So, looking purely at the expense and leads generated from individual tactics isn’t always accurate. The sum of the plan is greater than any individual part, and it’s their collective impact you want to measure. The best way to calculate a return on your marketing investment is to look at how your marketing efforts are impacting your broader business goals. Put monitoring tools in place and track KPIs frequently to ensure you’re making good progress along the way. But at the end of the day, if you aren’t hitting your sales goals, enrollment numbers, etc. your plan isn’t showing you the ROI it should, and it’s time to do something differently.